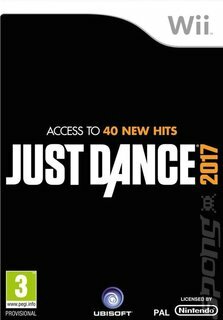 The Just Dance train is rolling again, with Just Dance 2017 set to bring the world's biggest dance game series back into our living rooms. The series has sold over 60 million games to date, and Ubisoft doesn't seem to have any plans to slow it down. Just dance packs in over 40 new tracks, six game modes, content updates right through the year and access to upwards of 200 tracks through Just Dance Unlimited. Ubisoft is promising the most diverse tracklist yet, with hits ranging from Cheap Thrills by Sia Ft. Sean Paul tio Lean On by Major Lazer & DJ Snake Ft. MØ, to Sorry by Justin Bieber. On the other end of the spectrum, players can get their groove on with classics such as Don't Stop Me Now by Queen.